Susan Bavagnoli woke her kids up early on an unusually warm Sunday morning in late October to watch the sunrise. It’s a moment she’ll remember for the rest of her life. “It was the most spectacular sight, and in watching the sunrise I was thanking God for the beautiful day, the beautiful sunrise we could enjoy as a family,” Bavagnoli, a Wyckoff resident who owns a summer home in Silver Beach, recalled. The warm morning turned into a warm afternoon in the island’s Silver Beach neighborhood, a small community in the North Beach portion of Toms River. Bavagnoli had told her son, Ronnie, 12, that he shouldn’t take his surf board out in the ocean because there weren’t enough people around. But, since it was so warm out, walking on a sand bar with only a few inches of water couldn’t hurt. He and his sister, Jill, 10, and her friend Chloe, 10, began playing in the shallow water. A day at the beach became an instant nightmare. 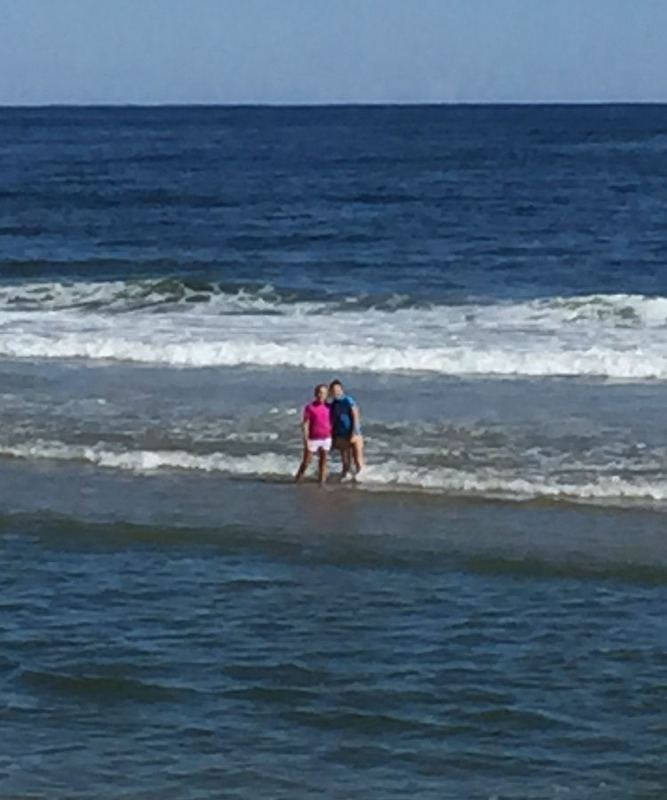 The two girls had been taken out to sea by a rip current. As the potential tragedy was unfolding, Sarah Sant’Ambrogio, 26, of Bloomfield and her boyfriend, John Cram, were spending one of the last days of the season at the beach next to Sant’Ambrogio’s family’s summer home. The couple were relaxing on the beach after going for a run earlier. “I looked into the water and I saw two eight or nine year old girls out pretty far – farther than normal, especially for October and being alone,” Sant’Ambrogio said. After Sant’Ambrogio spotted the youngsters out in the water, Cram sprang into action. Battling rip currents himself, Cram managed to grab hold of Jill Bavagnoli and bring her in to shore. “She was definitely drowning out there,” Sant’Ambrogio said. 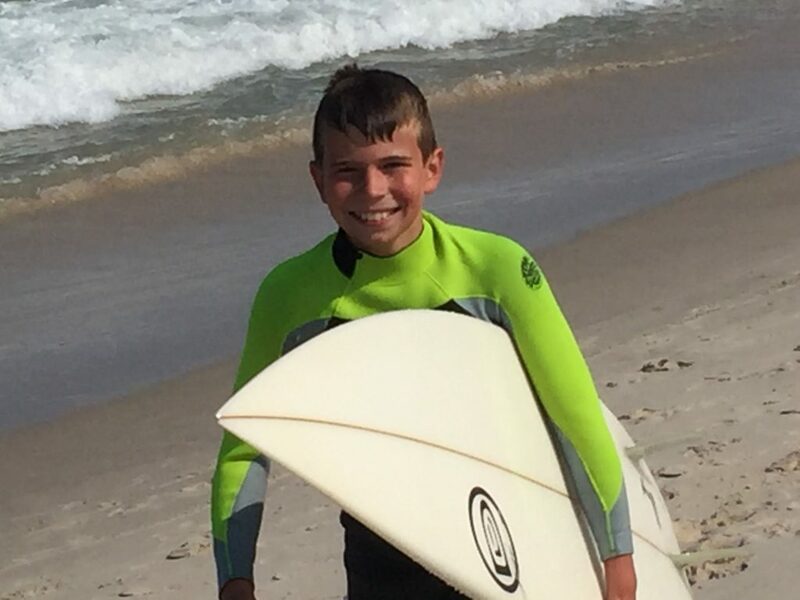 With both of the kids safe, Cram and Bavagnoli’s son used his surfboard to help rescue Susan, who had drifted out a significant distance and could not move well since she entered the water with her clothes on. Ultimately, she made it back to shore. “God put John on that beach and he saved my daughter, and God gave my son the skill to be able to rescue me,” she said.